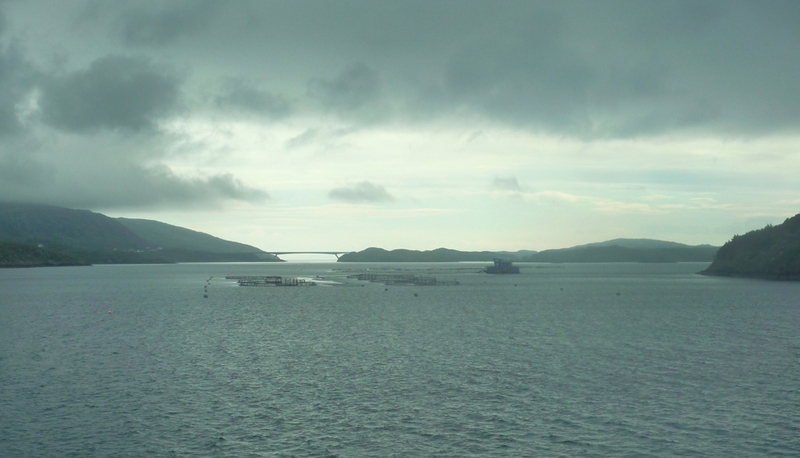 One rainy morning we boarded a ferry at Uig, Skye. The rain clouds dragged over the water like shrouds, sweeping us into a soundless blanket. That morning the waters of the notorious Minch were calm. Suddenly the gray shrouds gave away for a few precious minutes of soft green-tinted yellow daylight, the kind you only see on a rainy day. As we slipped into Tarbert harbour the light vanished like a dying ember, and the clouds swallowed us back into the shroud of swirling droplets. Sun is rare on the Hebrides. Categories: Travel | Tags: outdoors, Scotland | Permalink. 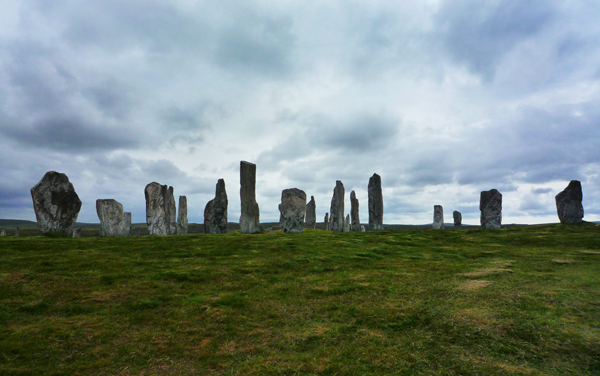 There is something magical about the stones of Callanish, facing weather and time out on the Isle of Lewis, at the edge of the world. As if the wind has eroded the monoliths so that only the cores are left, the strongest still standing. Sometimes I think this applies to all of us left standing in this windy world. I read William Horwood’s book “Callanish” when I was about 10 years old. It describes these stones as a center of power, both for eagles and humans; and the long journey of an eagle, captured at London Zoo, back home to the outer Hebrides and to freedom. I still need to rediscover my own source of power but moments of headspace on our beautiful blue marble help with the recharge. Categories: books, Travel | Tags: books, Scotland, sights | Permalink.